This is also why I’ve often said that I can’t really eat American bread anymore. 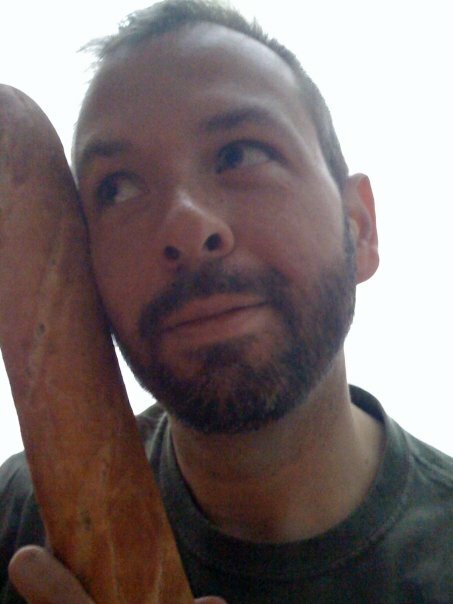 My palate has become so snobbish about bread that I even turn my nose up at the creations of the very artisanal American bakeries that I formerly patronized and touted to the world, and I even claim that Le Pain Quotidien just tastes different in America than it does in France. I’ll never forget Michel‘s first visit to Washington back in December 2009, when I went searching for a baguette for dinner, hurrying home with a pain de campagne from my neighborhood bakery because they didn’t have any baguettes, only to blush with embarrassment upon realizing that it simply didn’t measure up to what Michel was used to eating—what I’m now used to eating. That’s why I chose a warm, fresh tradition for my last lunch in France before leaving for the U.S. last weekend. I had to get my fix before starting this two-week sojourn in the land of Merita and Sunbeam, you know. Now, that’s not to say that we don’t make some good bread here in America. It’s just that it’s a lot harder to find. And the bread we make that’s really good—in my experience—is just a different sort. 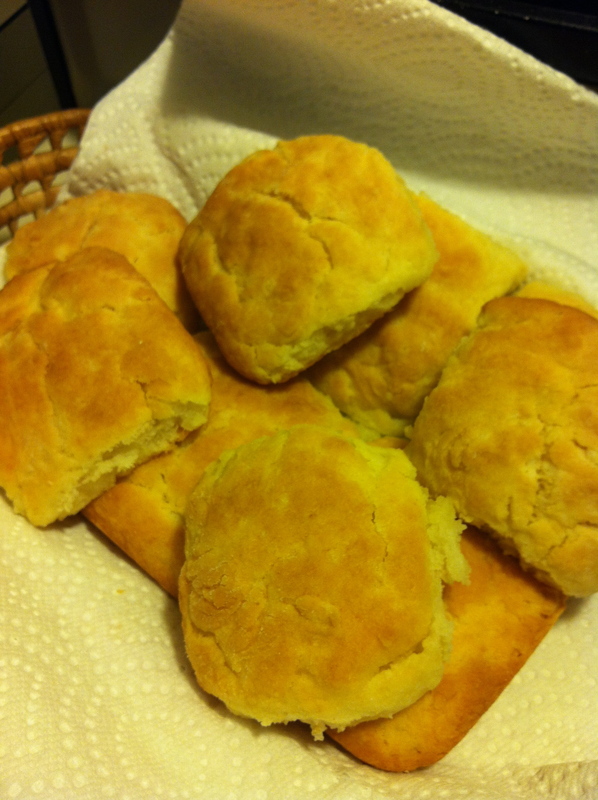 For instance, my mama just baked up a batch of her now world-famous buttermilk biscuits for my breakfast. (They’re so good that Michel has placed a special order for his own batch when I go back to Paris on the 14th.) We’re also planning to dust off my bread machine this afternoon and try to bake up something creative. I’m confident that it won’t be nearly as good as a warm, crusty baguette from my neighborhood bakery back in France, but it has to be better than the pre-sliced stuff in the plastic bag that’s now sitting in the kitchen. Maybe when Michel and I are back for our next visit this fall, we can convince him to use his French savoir faire to bake some baguettes for us. In the meantime, I guess I’ll stick to my mama’s biscuits and leave the baguettes to the experts back in France!